Residential Real Estate Market Analysis Notepad. 50 Sheets, created by Realtors for Realtors and Investors, 2018. Market Analysis Form. 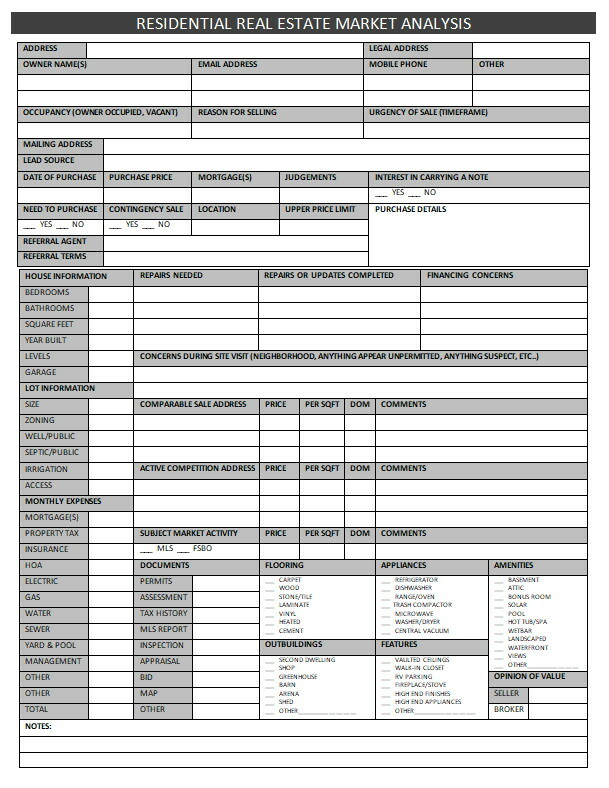 Show up with a single page form to help you use your time efficiently and to project professionalism. Take control of the interview by asking the right questions and letting your experience shine! Market Analysis Form. Collecting vital information to properly assess the current market value. Locate home and property information that is public record. Also locate information that is not of public record, such as inspections, bids, or other property information the Seller might have collected.Market Analysis Form. Make note of improvements, areas needing attention, and financing obstacles. Determine if a Seller is willing to carry a note, the remaining mortgage amount, and any possible judgements that could become an obstacle in closing a sale. Market Analysis Form. Note comparable sales that are active on the market, and those that have closed. Determine average price per square foot, inferior or superior condition, and market or sales history of the subject sale. Market Analysis Form. 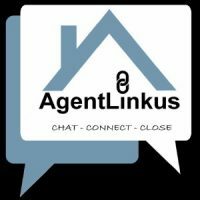 Find Seller’s current monthly expenses. These determine if an investor could be interested, and can identify problems or inefficiencies. This can also determine whether it would be comfortable purchase for a Buyer. Residential Real Estate Market Analysis Notepad. Realtor and Investor tool to keep thoughts organized during an initial consultation with a potential Seller. Help a Seller feel comfortable that you are a Professional Real Estate Broker or Investor. Selling a home is often the largest financial transaction a person will ever experience. Avoid showing up with a blank notepad, scribbling random information provided by the Homeowner. Take control of the conversation and show the owner that you are a professional that can be relied on. You have one chance to make a first impression! For an initial consultation, it is smart to be prepared with comparable active sales, and comparable closed sales. This information helps with pre-determining a value range. The ultimate sales price will be adjusted based on the subject homes condition, location and any financing concerns. Further, the value may be adjusted to accommodate a Seller’s motivation, circumstance or relationship to the home. Realtors. A consultation is often requested to get an opinion of market value. When meeting with a potential Seller Client, this one page form will keep you on task and your questions organized, and your observations noted. Presenting yourself as a professional is a MUST when interviewing to represent a homeowner in the sale of real estate. Part of being a GREAT Real Estate Broker is to help a Seller determine their best options, make them feel comfortable, and help them make as much money as the market will allow. A key component in helping a Seller is gathering the most useful and complete information, and creating a useful marketing plan specific to their residential sale.